Information 911Tracker Collects to Provide the Services. A person who purchases the Services (a “Customer”) must provide his or her name, address, telephone numbers, email address, and payment card information (“Personal Information”) to 911Tracker to purchase the Services. Customers must promptly notify 911Tracker of any changes to such Personal Information. When the Customer uses Services to request location data from the Tracker, that information is communicated by Short Message Services (“SMS”) by regulated Wireless Carrier Services to the Customer’s registered mobile phone. This location data is sent to the smartphone applications and is not sent to 911Tracker Website or servers, nor is this location data accessible by 911Tracker Website or server. A Customer’s Personal Information will be retained for as long as the Customer receives the Services and for any period during which there is a dispute between the Customer and 911Tracker. 911Tracker Website or server do not receive or have access to location data. Information 911Tracker Collects from the Website. When Customers and others visit the Website, 911Tracker collects the visitor’s IP address (the unique set of numbers used to identify the visitor’s computer), and his or her registered domain or home server. 911Tracker also collects information pertaining to the visitor’s operating system, browser version, referring site, and keywords used to locate the Website. 911Tracker may use Web beacons, also known as “Web bugs.” Web beacons are typically small (1x1 pixel) graphic files placed on Web pages and other electronic documents that are often the same color as the background of Web page or other file. Web beacons can collect the IP address of the computer that the Web beacon is sent to, the URL of the page the Web beacon comes from, and the time the Web beacon was viewed. 911Tracker does not place Web beacons that link to Personal Information on other sites, nor does 911Tracker permit third parties, other than those working on 911Tracker’s behalf, to place them on 911Tracker’s site. 911Tracker may use Web beacons on the 911Tracker Website and may link a particular beacon to Personal Information. If a visitor requests information or orders products or services from 911Tracker by sending 911Tracker an e-mail or by filling out a registration form on the Website, 911Tracker may save the visitor’s e-mail address and any other information that the visitor provides. This information may be used by 911Tracker to provide services or products the visitor requests and to contact the visitor in the future by mail, by e-mail, or by phone to convey information about 911Tracker's services. Such information also allows 911Tracker to respond to visitors’ inquiries concerning career opportunities at 911Tracker. Visitors will always be provided with the option not to be contacted or to unsubscribe if they register with the site. How to Access and Correct Information Obtained by 911Tracker. A Customer may obtain a copy of the Personal Information and the information collected from the Website that 911Tracker has regarding that Customer by emailing a request for a copy of that information to customersupport@911Tracker.com or by sending a letter to 1646 Elderberry Way, San Jose, CA 95125. 911Tracker will make a good faith effort to mail the information to the Customer at the address previously provided by the Customer if 911Tracker is supplied with sufficient information to allow it to confirm the identity of the person making the request. If any of the information regarding the Customer is inaccurate, the Customer may send corrected information and a request that 911Tracker correct its records to customersupport@911Tracker.com. 911Tracker will make the correction if 911Tracker is supplied with sufficient information to allow it to confirm the identity of the person making the request. 911Tracker uses a variety of physical, technical, and procedural safeguards to guard against loss, misuse, and alteration of Personal Information. 911Tracker also requires Customers to use user identification and passwords to access Personal Information. Similarly, when visitors to the Website conduct payment card transactions with 911Tracker, 911Tracker uses procedures required by the Payment Card Industry Data Security Standards. 911Tracker cannot, however, guarantee the security of any Personal Information, or information collected from the Website. Despite 911Tracker’s efforts to secure such information, it may be accessed, disclosed, altered, or destroyed by a breach of 911Tracker’s physical, technical, and procedural safeguards. Customers use the Services and visitors use the Website at their own risk. If 911Tracker learns that a Customer’s Personal has been disclosed to an unauthorized person, 911Tracker will attempt to notify the Customer. 911Tracker Website or server do not receive or have access to location data. How 911Tracker Uses Customers’ and Website Visitors’ Information. 911Tracker uses each Customer’s Personal Information to provide Services to that Customer. 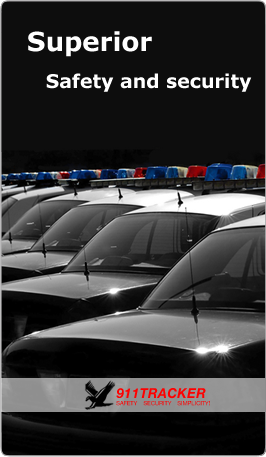 911Tracker does not collect information of any kind other than to provide such Services. 911Tracker Website or server do not receive or have access to location data. 911Tracker does not share, sell, or rent any Personal information collected from the Website to any third parties, and does not intend to do so in the future. 911Tracker recognizes the importance of protecting the privacy of children. 911Tracker will not knowingly collect any personally identifiable information from children. Personal Information collected from a Customer must be information from an adult. Copyright © 2017, 911Tracker, Inc.